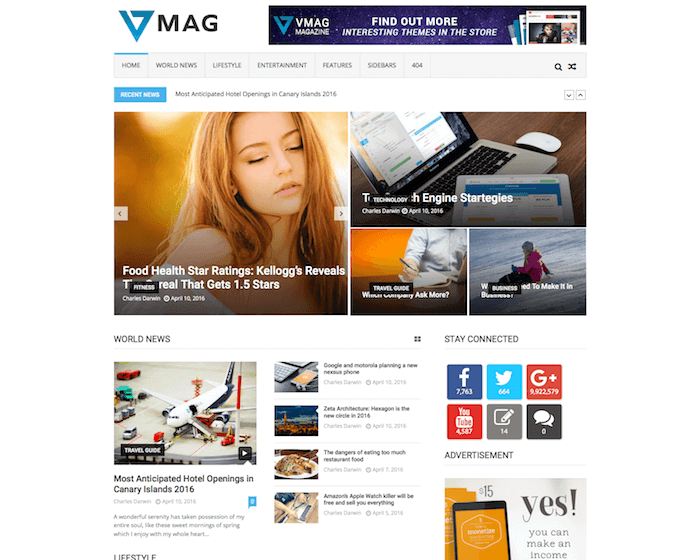 LiveMagazine is a WordPress theme designed specifically for magazine websites and blogs. The theme allows you to create a nice and attractive online magazine website with support to various design and layout options. LiveMagazine theme is simple and easy to setup and work with. You can optimize and customize your website within minutes by yourself even without any technical knowledge. It is a fully responsive theme, made to fit any screen size and device. 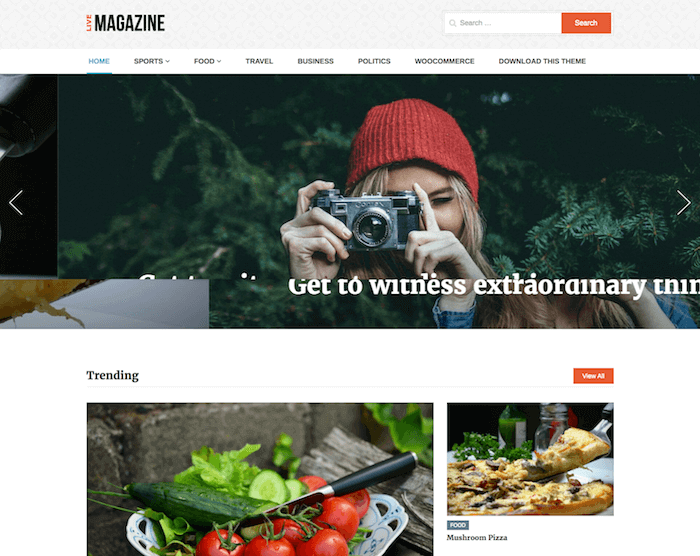 Since online magazines are usually blog-based websites, LiveMagazine theme provides support to a built-in blog where you can start posting immediately. 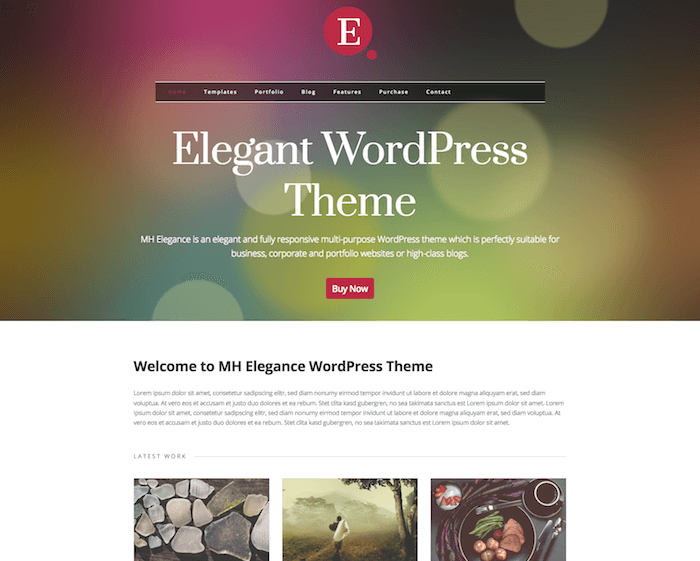 This theme is perfect for news websites, personal blogs, online magazines, photography sites, restaurants, and more. LiveMagazine is a WooCommerce enabled theme that means you can have your own online store within your magazine website. The theme comes integrated with a simple online shop that can be used to sell services and products online. With the help of WooCommerce and other online store plugins, you can easily customize your online store to support various features and functionalities of a fully working E-commerce store. The design and setting options for your online shop are available in the WordPress Customizer. LiveMagazine theme is very easy to install and run. The theme comes with an in-built installer that can automatically install necessary settings, plugins, designs, and plugins as soon as you enable it. It also automatically adds some sample content on the website to fill the blanks. You can start with the inbuilt customizer that lets you make necessary changes in the design, layout, setting and various other options on your website. There are also available a number of widgets and plugins with the theme that can be used to enable additional functionalities. 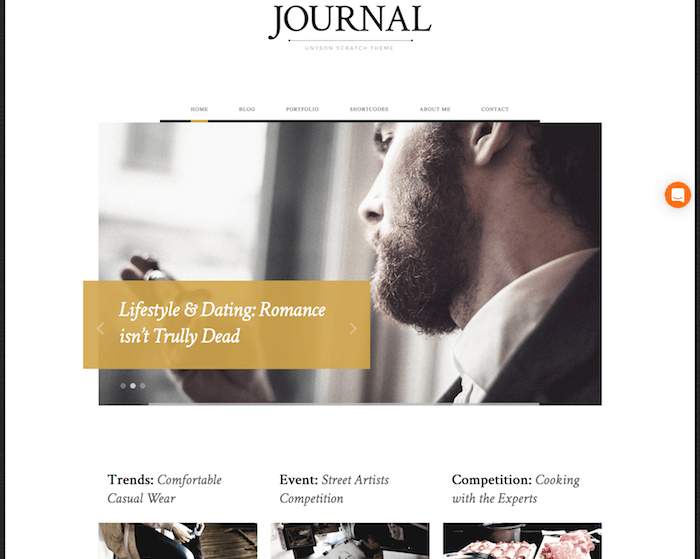 The LiveMagazine theme comes with a beautiful magazine layout that can be easily customized to make it even more awesome and user-friendly. The theme homepage itself includes various useful sections, such as social icons, search box and log in the header, a full-width slider, smart widget to display trending posts, latest posts widget (list-view & grid-view), subscription box, tabbed widget for multiple types of posts, popular post widget, dynamic sidebar, footer widgets, etc.